I had the best massage of my life from an inmate at a correctional facility. The women’s correctional facility is located right around the corner from the Three Kings. Their outfits change regularly. Nope, it’s not a punch line or a typo. And no, I am not currently residing in some such facility. 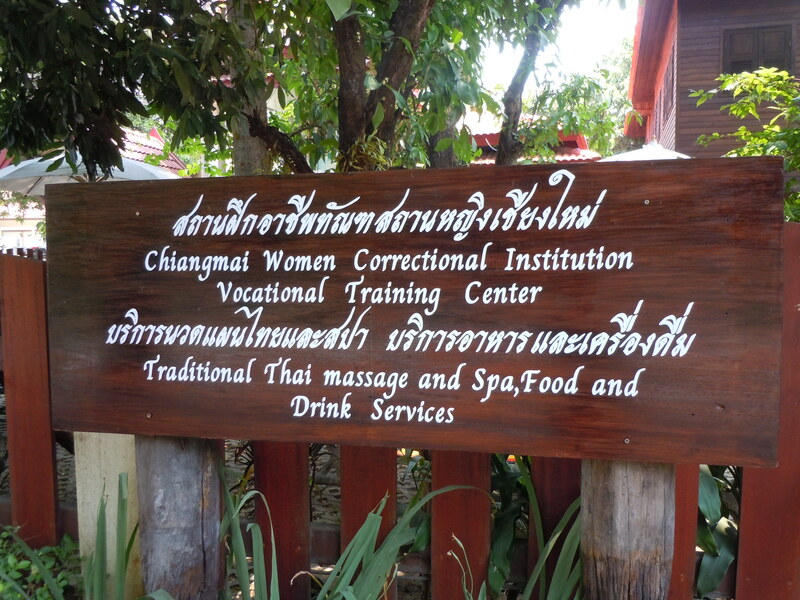 Nestled in Old Town Chiang Mai, Thailand, just down the street from one of the many wats that dot the area, is the Chiang Mai Women Correctional Institution Vocational Training Center. Complete with a cafe and bakery, crafts workshop and yes, a massage center, the center trains women who are currently serving sentences with valuable skills that will help them find jobs when they’re released. Both traditional Thai full body massage and foot massages are offered; an one-hour full body massage costs 180 Thai baht (about $6 USD). We splurged and opted for the hour body massage. We were escorted through a set of glass doors and into a makeshift locker room where we changed into an outfit resembling the greeter’s; we were then seated to have our weary feet washed and dried before the treatment. I fell in love with these fisherman pants and the tunic: so comfy. It was blisteringly hot outside. On the walk over, I caught the acrid scent of burning rubber. I looked around for a scooter or other motorized vehicle, but the street was quiet. Then I realized that my flip flops were starting to melt onto the pavement. The pre-treatment foot rub served to not only cool me down but also remove the dust and dirt of Chiang Mai streets before the ladies started to rub on them. I would have been content with just the foot scrub. Once comfortably laid out on one of the eight beds that comprised the treatment room, I closed my eyes and the tiny Thai lady, who looked like she was maybe 22 years old, started loosening up my ankles and toes. It was heaven. In the past 72 hours, I had spent 26 of them in a train, four of them in a van, two of them on an airplane and probably eight of them wandering around Hanoi, Bangkok or Chiang Mai. My poor body deserved some pampering. 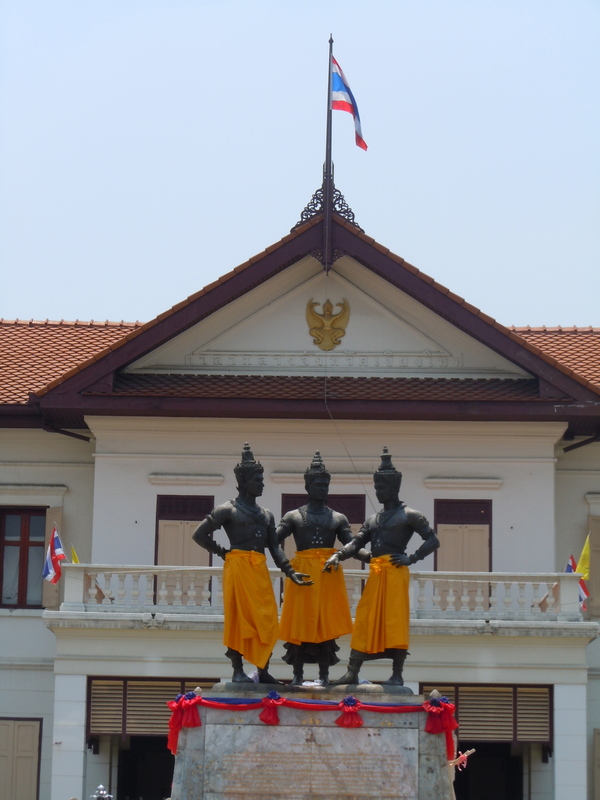 A traditional Thai massage is more of an assisted stretching session than the kneading type of massage that the Swedes made famous. The masseuse pops your toes and fingers, uses her forearm to roll your instep, pulls your arms back in a version of Cobra pose and contorts you into all sorts of unexpected–and blissful–positions. Involuntary groans are common, but signal contentment rather than pain. Best post-massage snack? These Roi Chang popsicles. 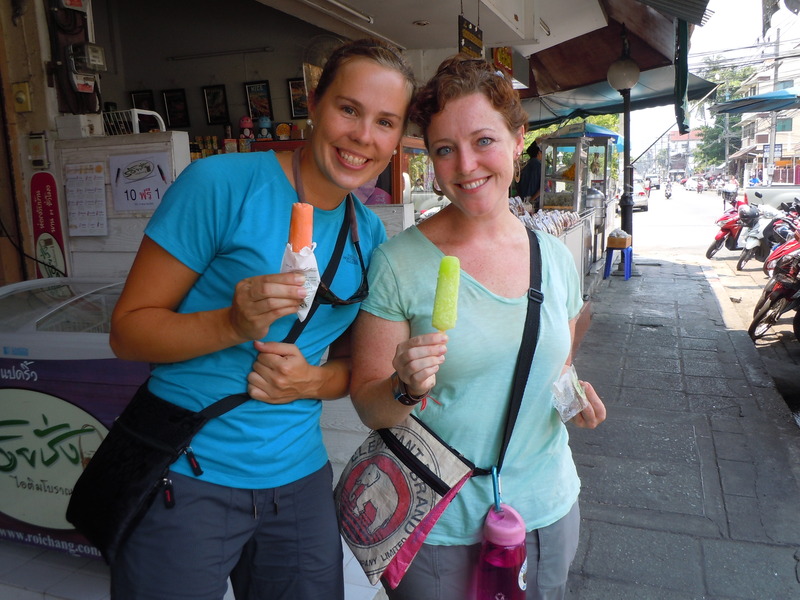 Flavors range from Thai tea to lemongrass to red bean. 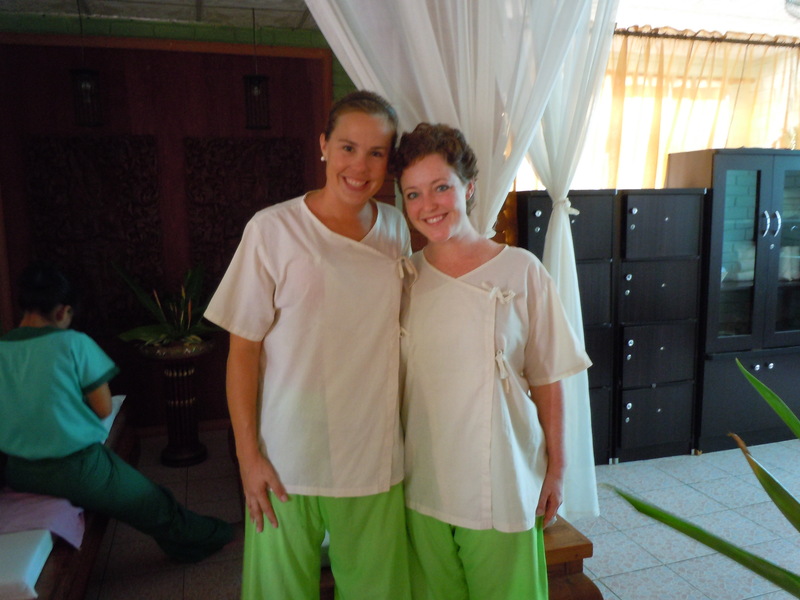 Tags: Chiang Mai, full body massage, Massage, Thailand, travel, vocational training center. Bookmark the permalink.